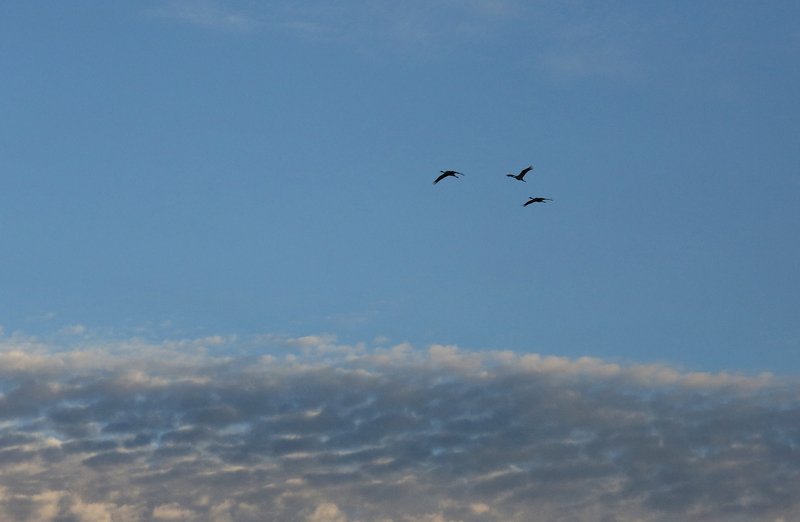 I decided to make another early morning trip to Isenberg. 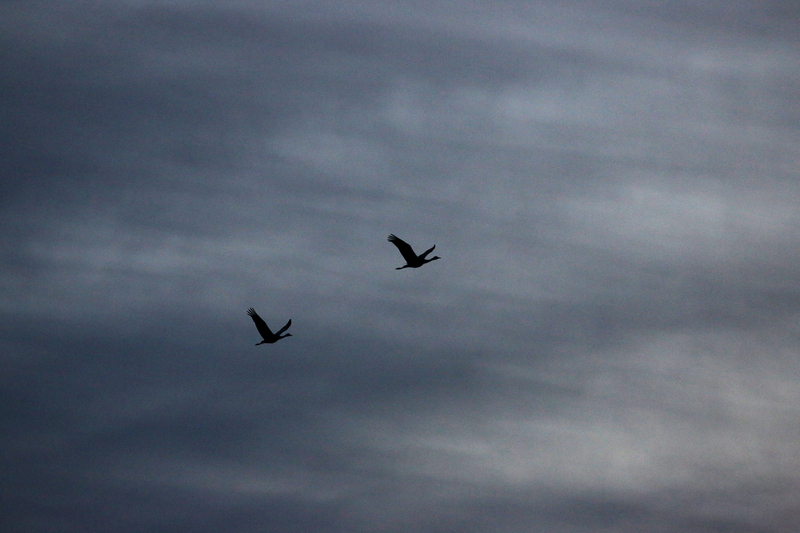 My last trip had too many people, to much talking and not enough just taking in the sights. 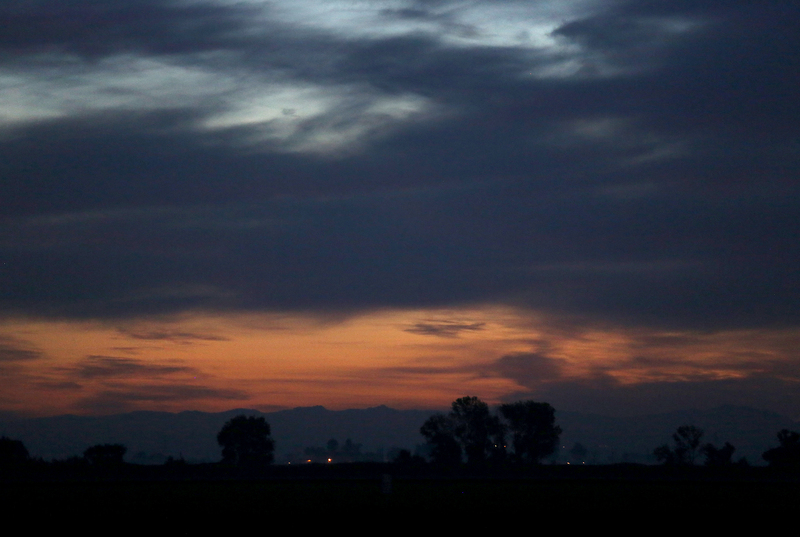 A smaller crowd, more clouds and cooler temperatures welcomed my dawn visit. 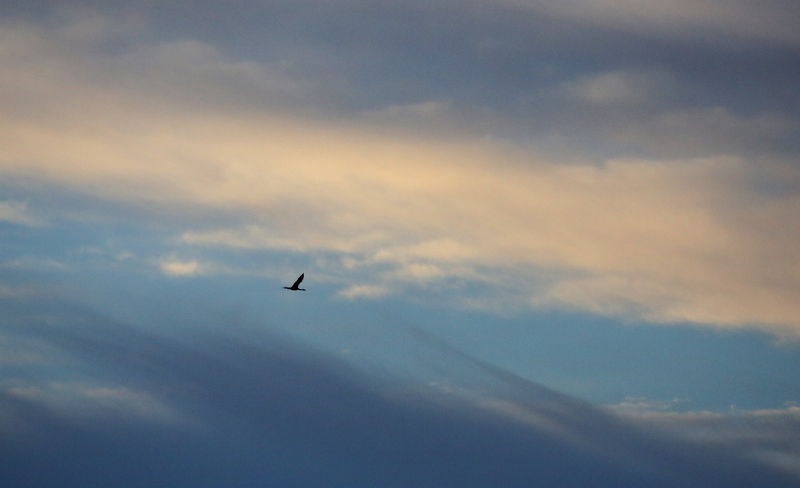 Dawn at Isenberg means cooler color hues. 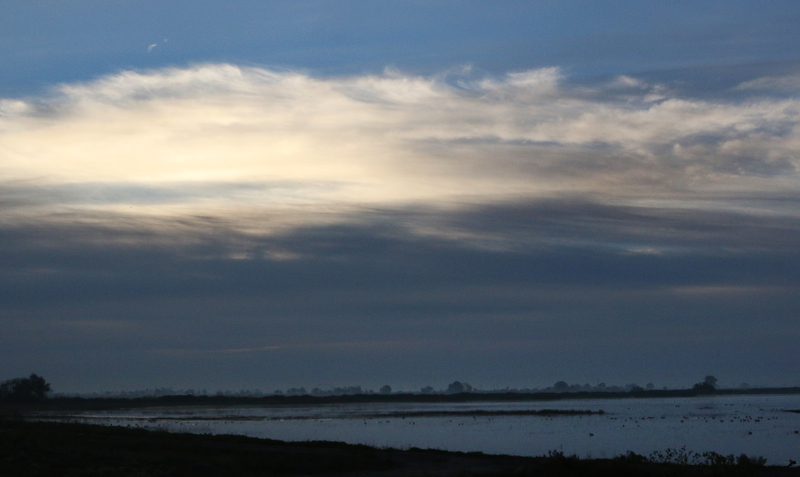 The wetlands were bathed in a blue cast until the sun could climb above the cloud layer. 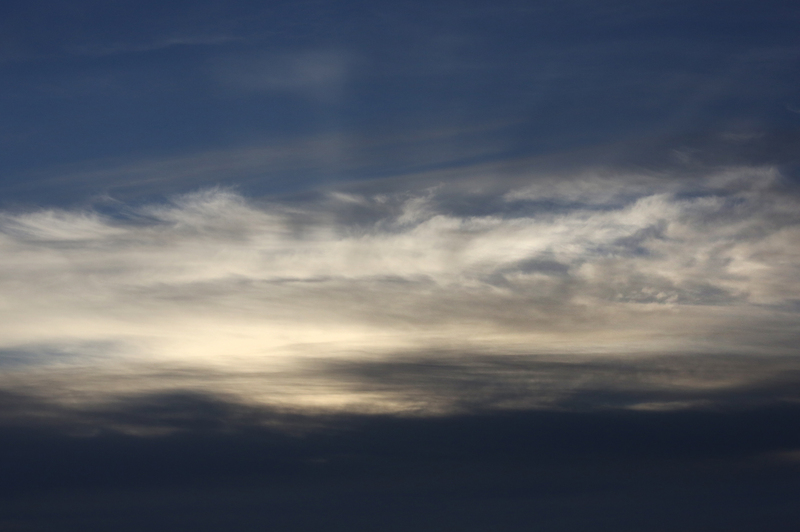 The sunrise made for interesting patterns in the clouds as the sunlight broke through the layers. 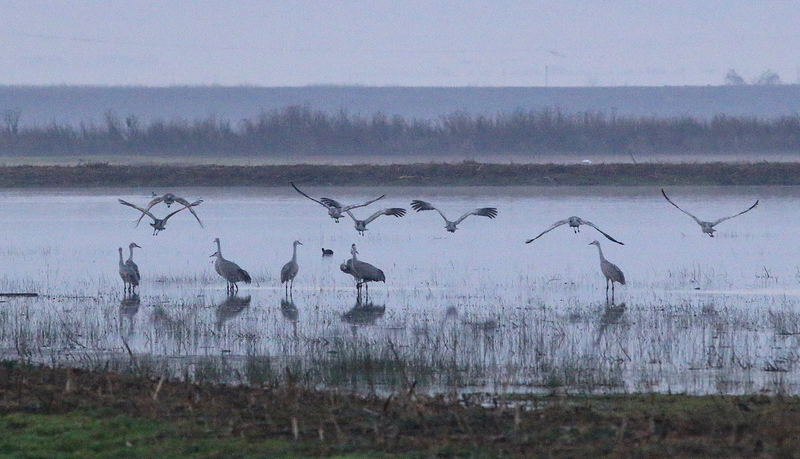 Most of the cranes congregated to the rear of the wetlands until farm machinery nearby rousted them from their sleep. 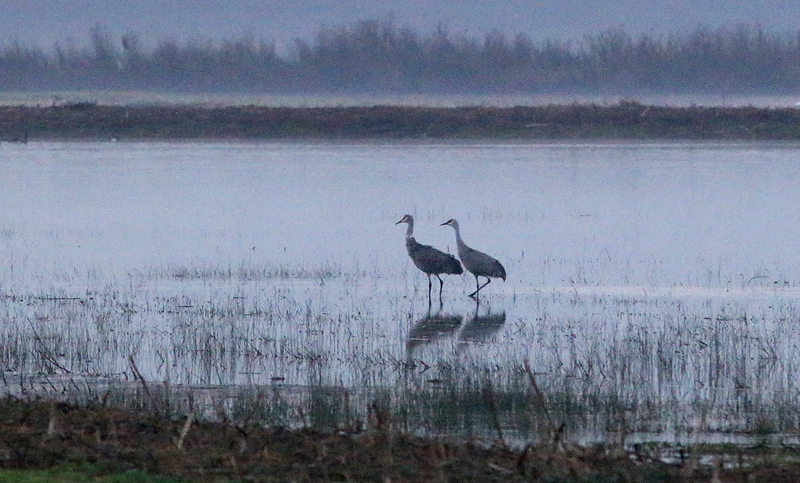 It was quite a sight to see as the cranes lifted off in front of the cloud bank as the colors and hues changed as the sun rose. 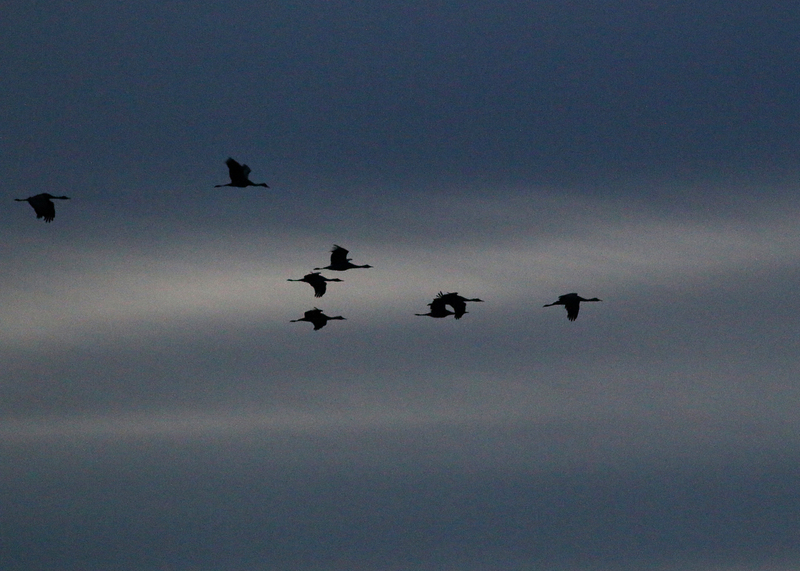 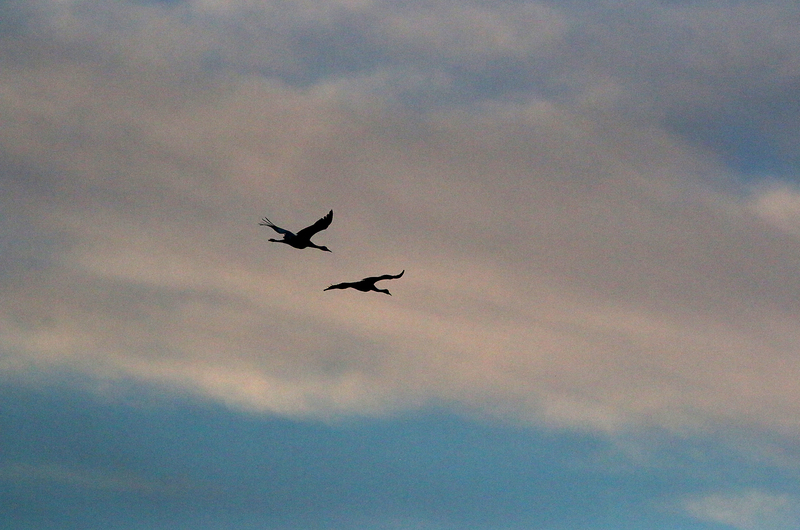 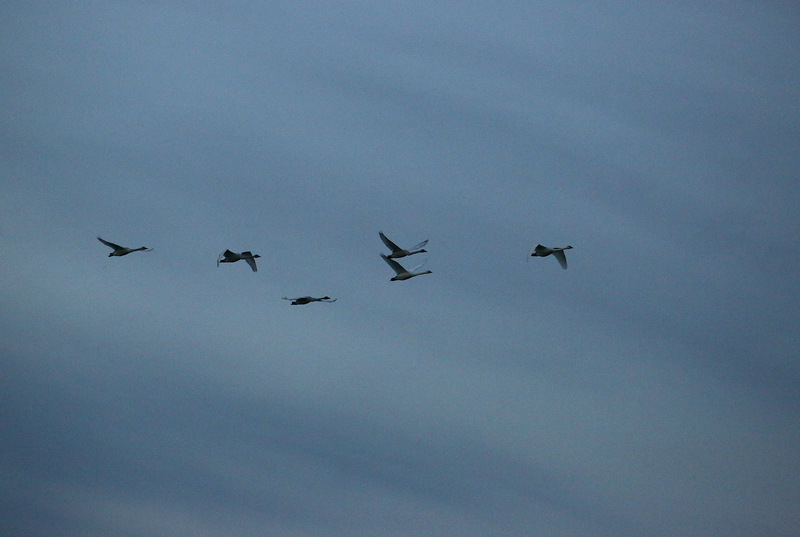 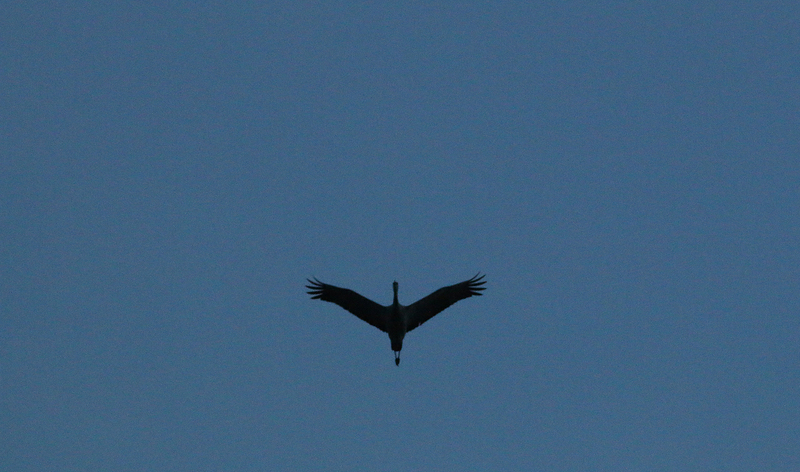 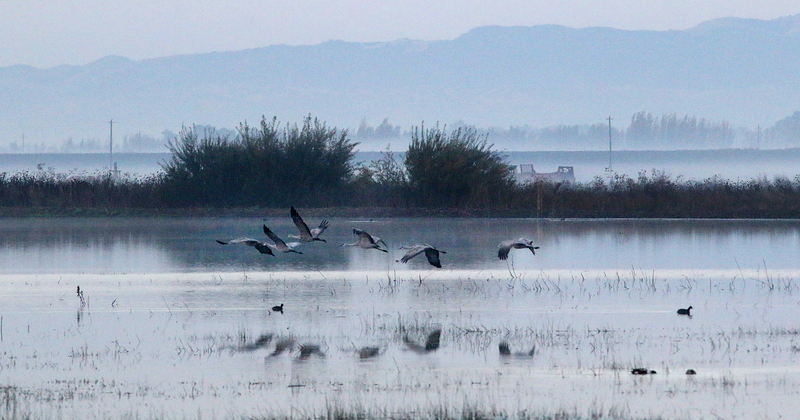 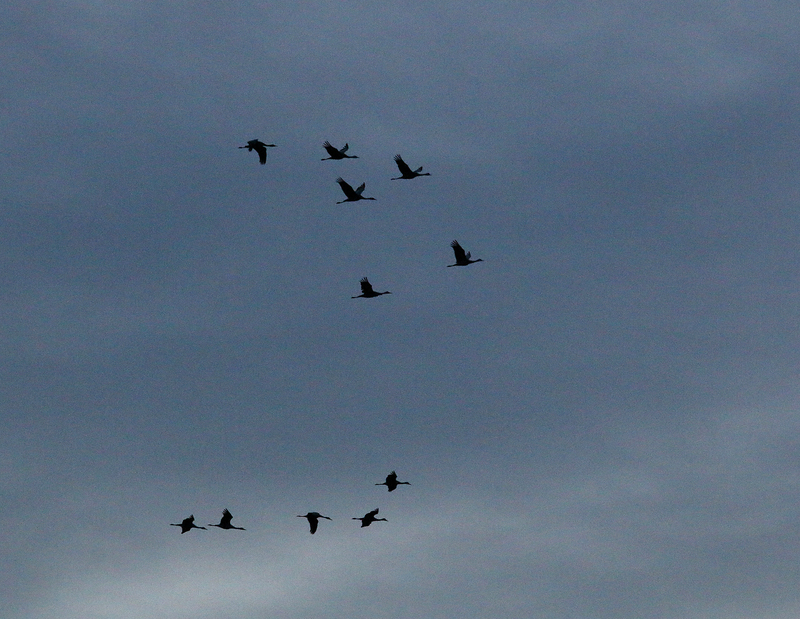 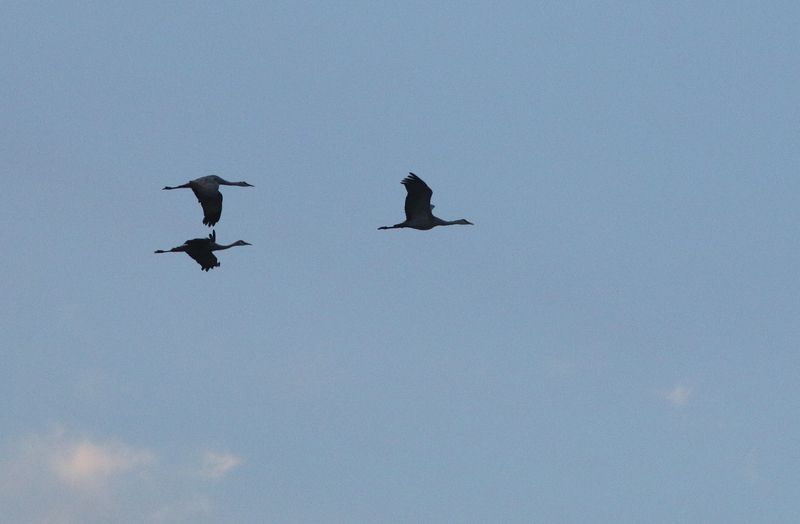 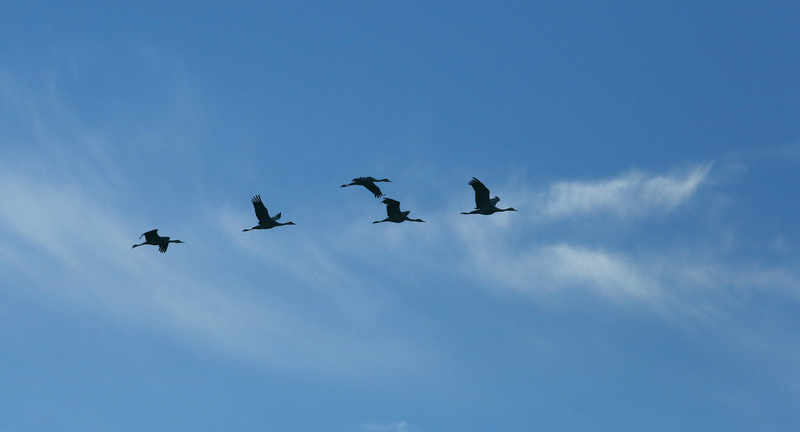 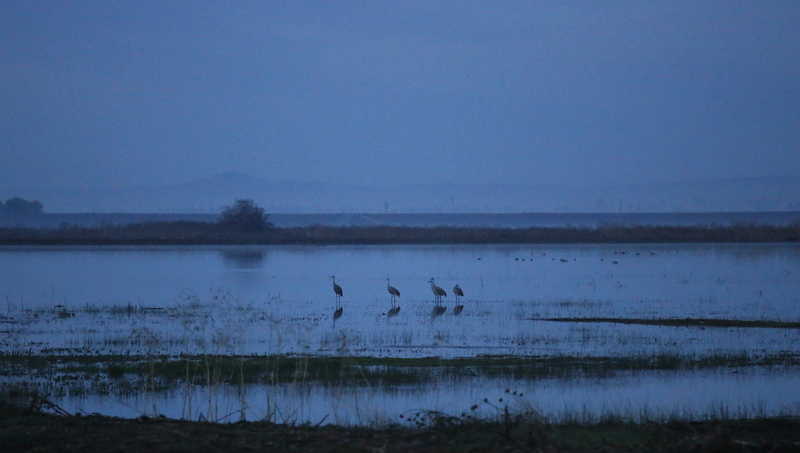 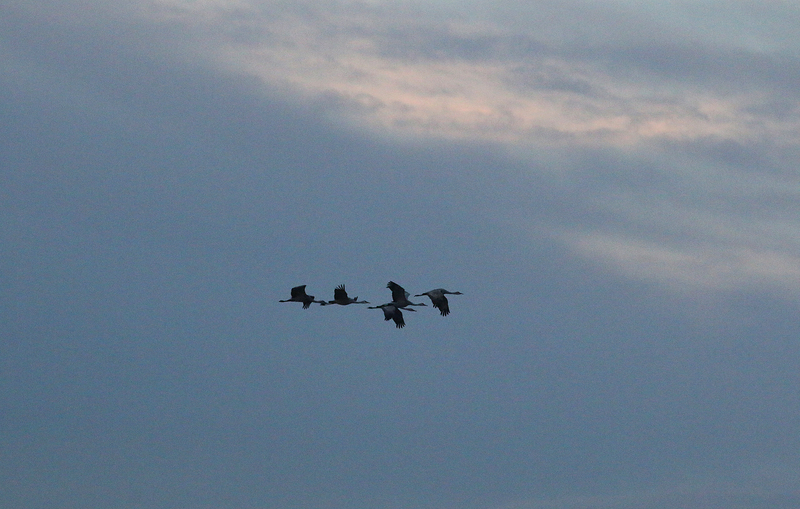 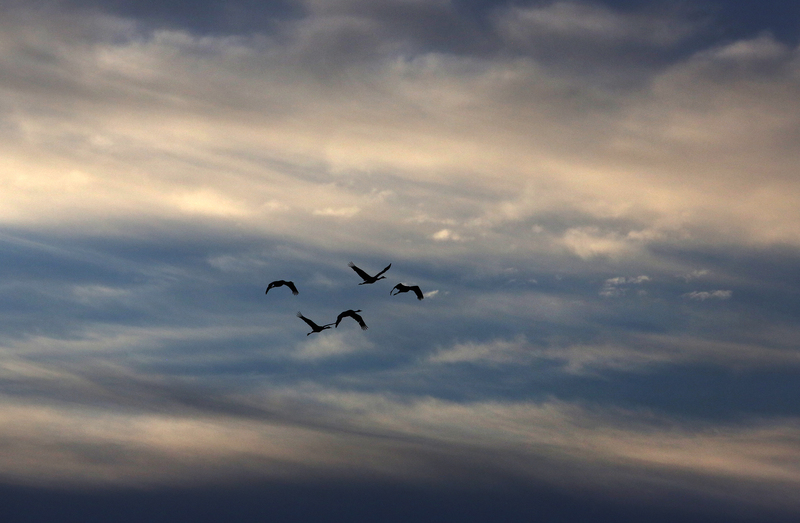 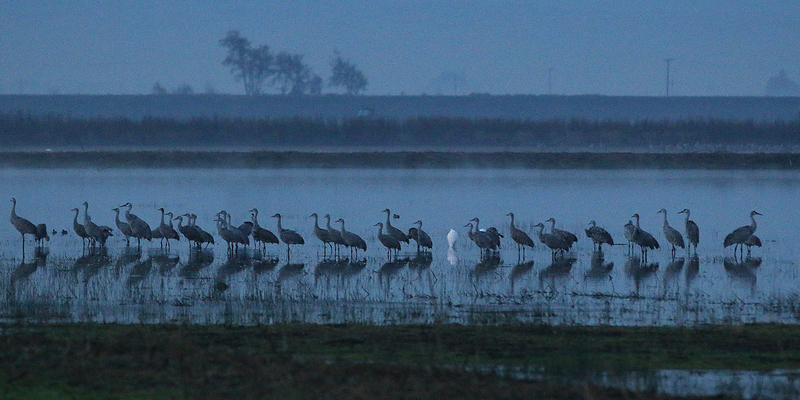 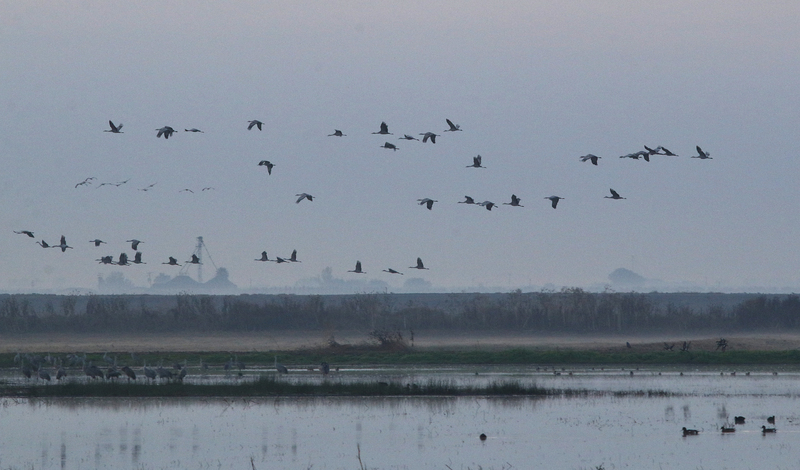 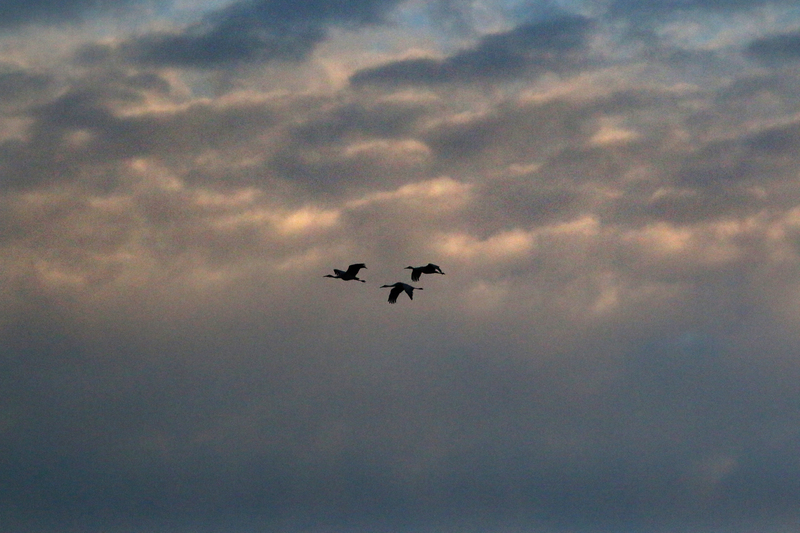 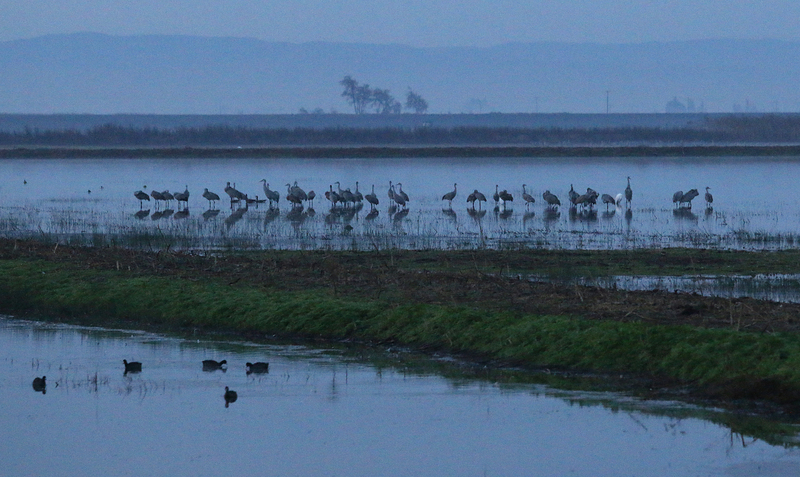 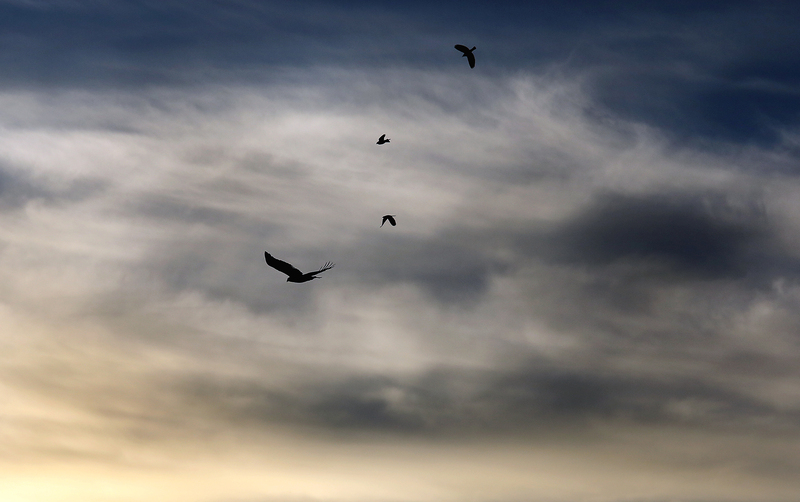 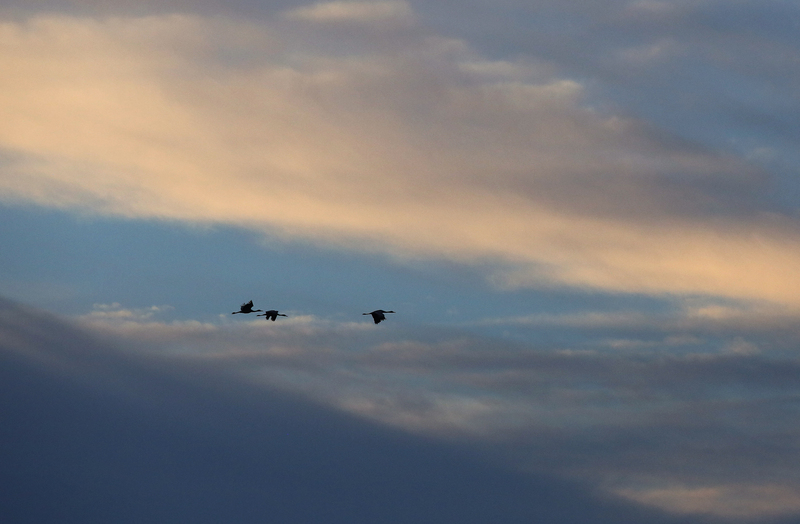 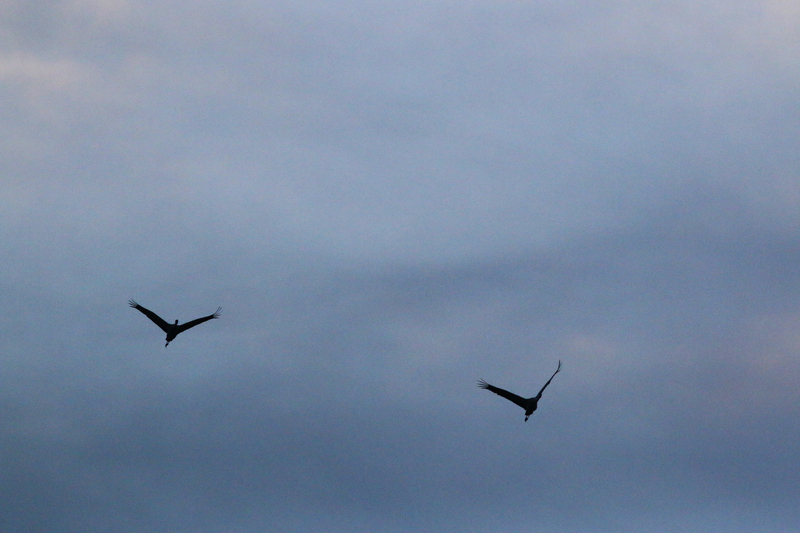 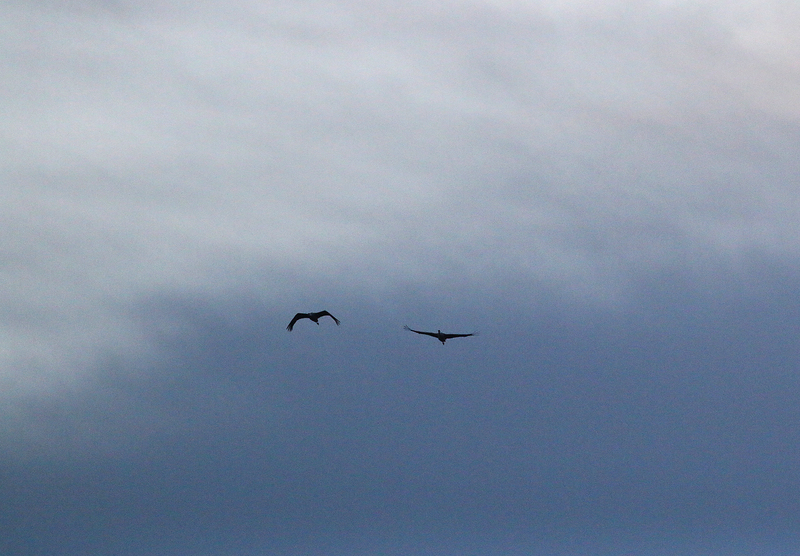 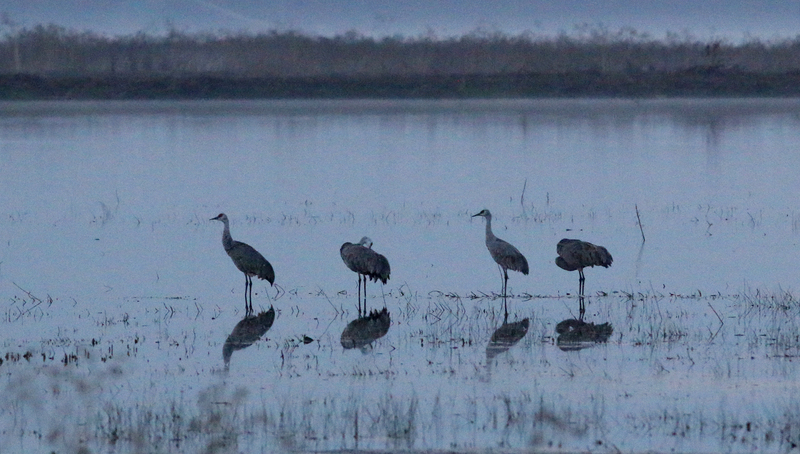 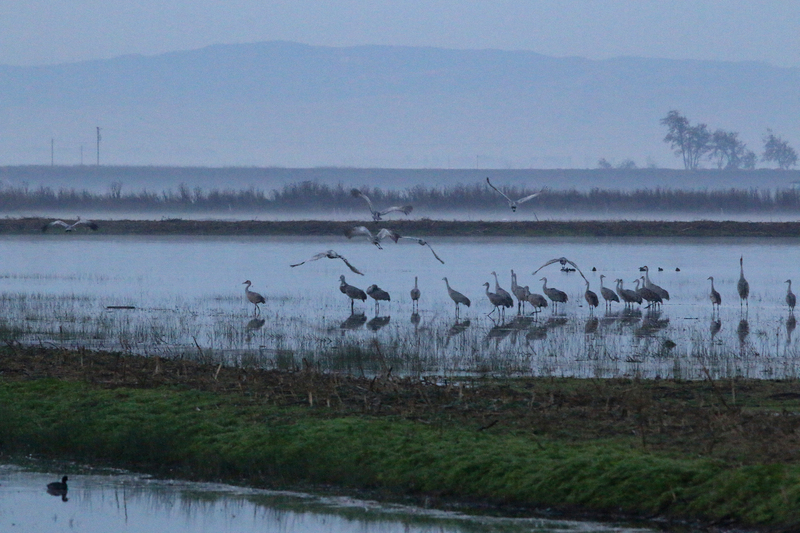 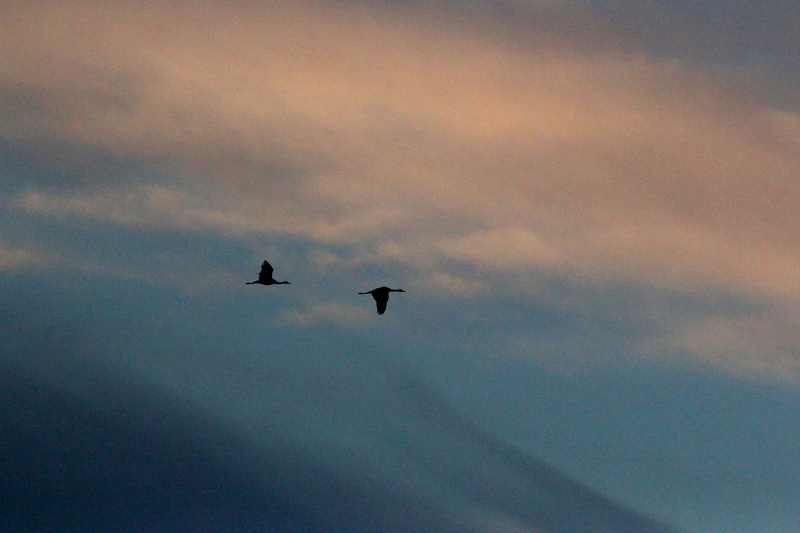 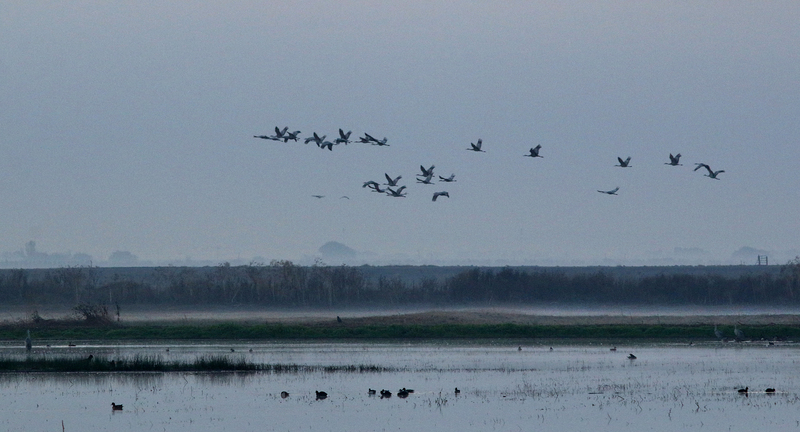 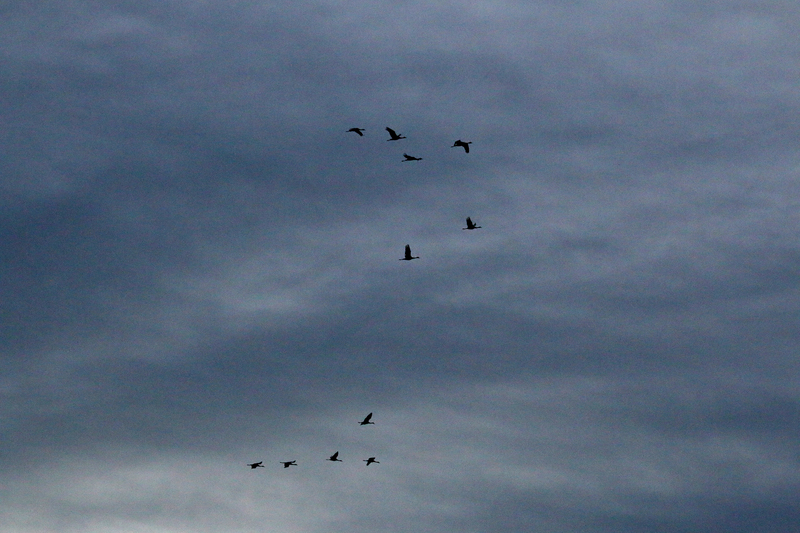 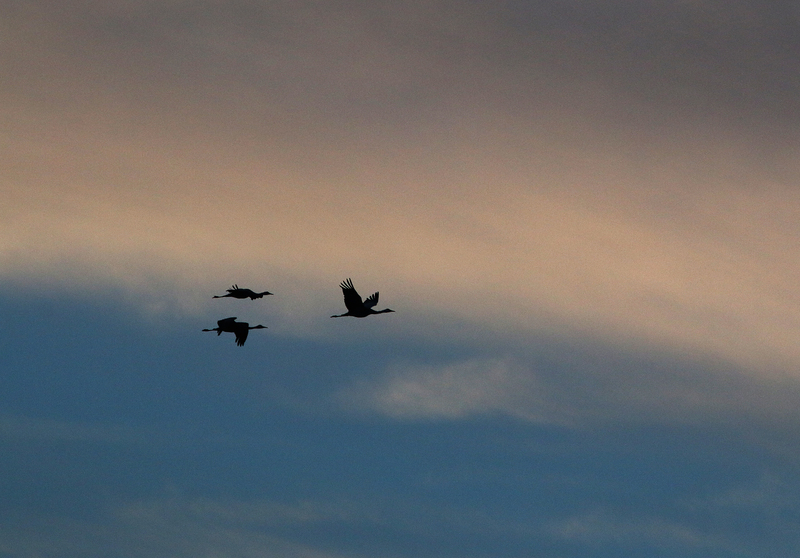 The cranes were eventually joined by geese, ducks and other waterfowl who call the wetlands home. 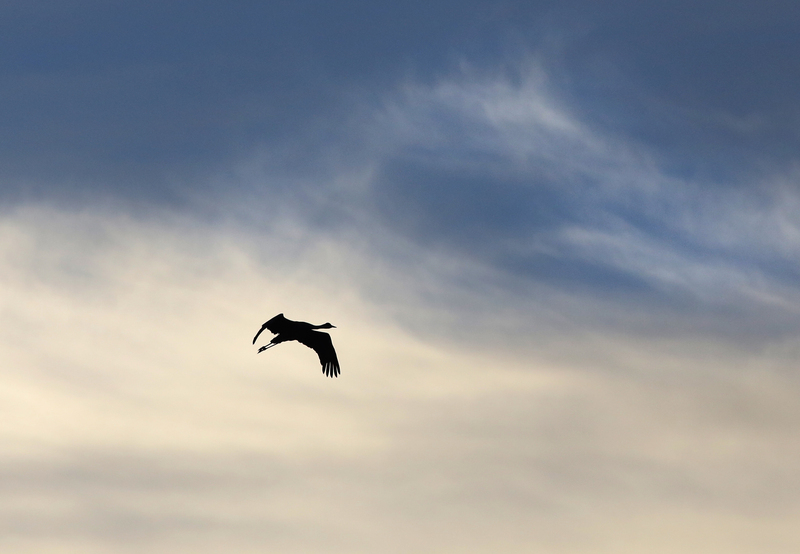 Have you ever considered leading an Isenberg Photo Class? 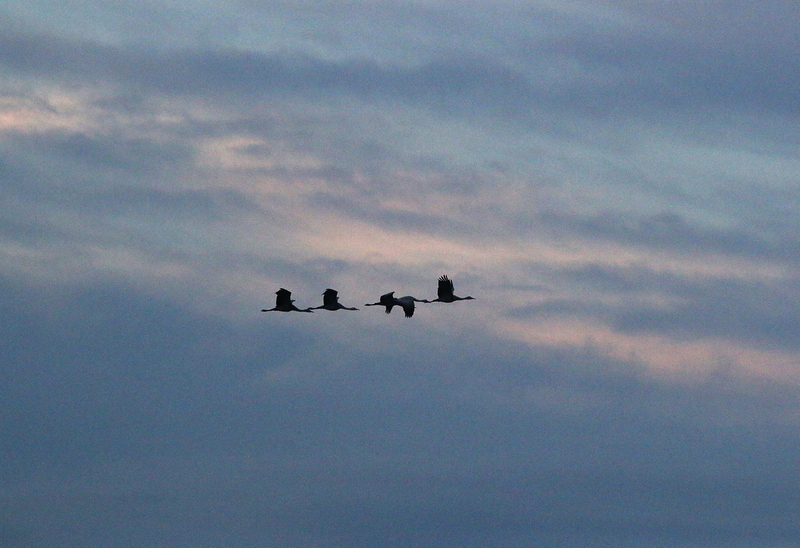 It could be a nice side gig!